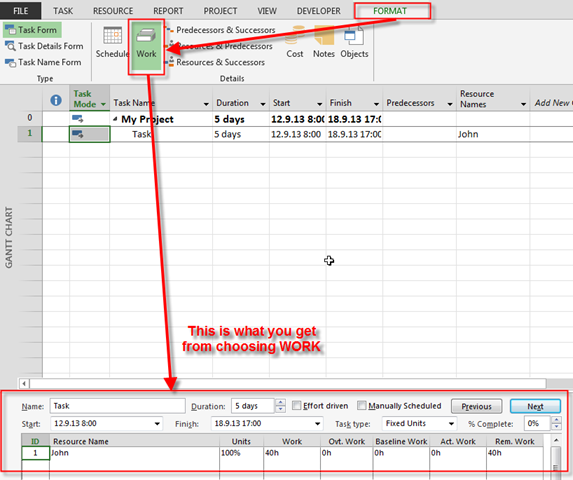 in one of my Posts I have explained how to calculate and work with Overtime hours in MS Project 2013, so I am not going to do it again. 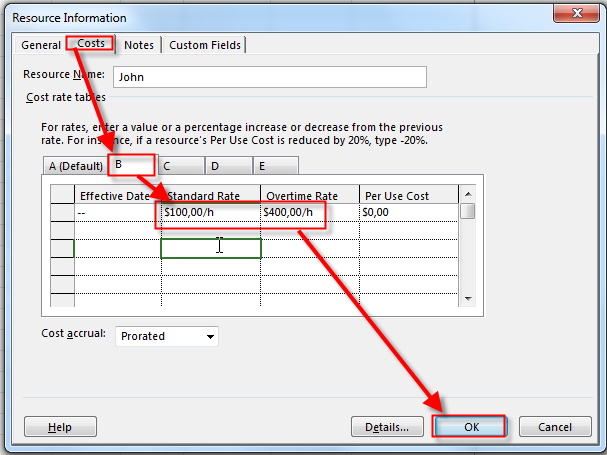 This time I will explain how to apply different Overtime Rate (as well as Regular). Suppose that you have John who has to work on Task, and his regular rate is $100 per hour, and overtime rate is $200 per hour. But on this specific Task you what pay him $400 for overtime work, and $100 for regular work (per hour of course). Let’s go. 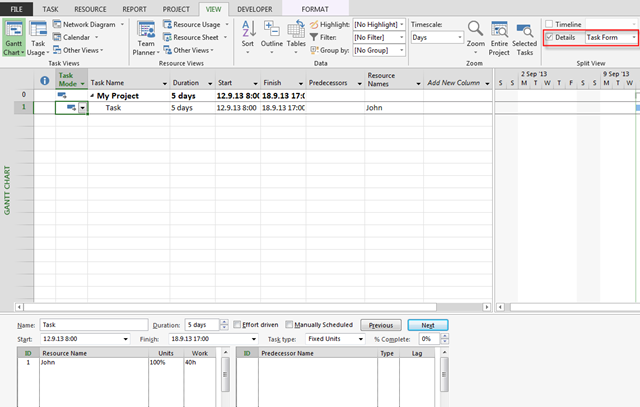 First I will create John as Resource and I will put those numbers in MS PROJECT 2013. When I double click on John I will put $100 for regular work and 400 per Overtime work for John in Table B! Now I will create Task, an assign John to that Task! Now I will make 20 hours as overtime. 20 hours regular work * $100 = $2000, and 20 hours overtime work * $200 = $4000. $2000+$4000=$6000! 20 hours regular work * $100 = $2000, and 20 hours overtime work * $400 = $8000. $2000+$8000=$10000! It is a little bit tricky, but now you know how! 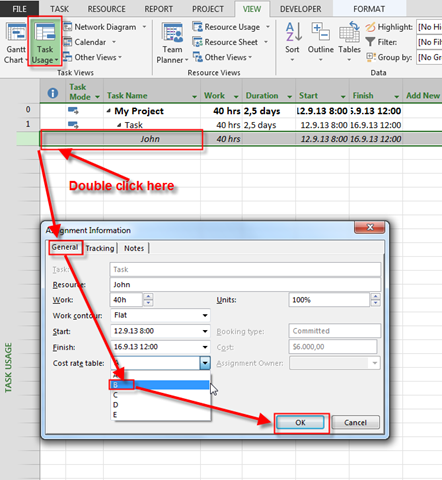 This entry was posted in MICROSOFT PROJECT, Microsoft PRoject 2010, Microsoft Project 2013, PMI, PRoject Management and tagged microsoft project - Resources, Microsoft Project 2010, Microsoft Project 2010 - Costs, Microsoft Project 2013, Microsoft Project 2013 - Costs. Bookmark the permalink.